Our Ontario apartments in California provide comfort and luxury in the Inland Empire, one of the fastest growing areas of California. 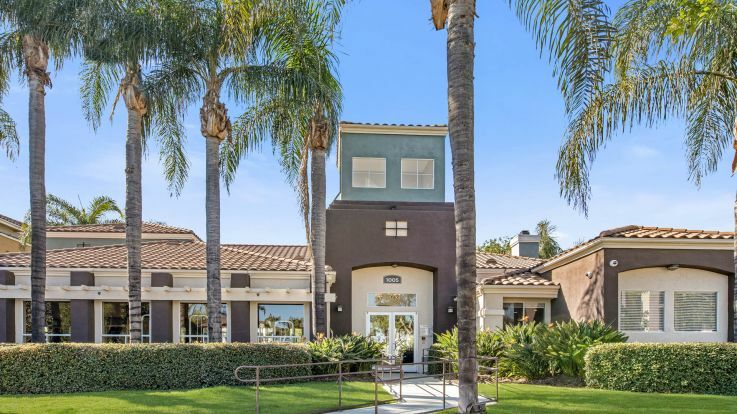 Residents of our Ontario apartments are within walking distance of parks, restaurants and fine dining, and close to major freeways like the I-10, I-210 and I-15 for commuting to San Bernardino and Orange County. Plus, Ontario International Airport is right in town. Residents of our Ontario apartments know that Ontario is home to 170,000 people, about 60 miles east of Los Angeles. Its name derives from the Ontario Model Colony, established in 1882 by a Canadian engineer and his brothers. The city is home to the Ontario Motor Speedway and Ontario Mills, a large and much-visited outlet mall. Once known for its wineries and olive growers, it is still home to the Graber Olive House, a city landmark. Ontario apartments are perfect for employees of Maglite, Famous Stars and Straps, Shiekh Shoes and other local manufacturers and businesses. Ontario has 25 public elementary schools, six public middle schools and five public high schools. There are also many fine private schools, including two military academies. Public bus transportation is provided by Omnitrans, just minutes from our Ontario apartments. In addition to the many city parks, residents are a quick drive to the mountain resort towns of Big Bear and Lake Arrowhead. Our Ontario apartments are a destination unto themselves. The spacious, pet friendly apartments have private balconies, ceiling fans, air conditioning, walk-in closets, fully-equipped kitchens and are internet and cable ready. All our properties are beautifully maintained and include such amenities as fitness centers, clubhouses, laundry facilities, swimming pools, hot tubs, covered parking, playgrounds and helpful on-site management. For carefree living close to everything you need, choose one of our Ontario apartments. Also be sure to check out Equity Residential apartments in Redlands, Ventura County and the San Fernando Valley.